R. Streitmatter-Tran's Solo Exhibition "The Reconstruction"
Bangkok University Gallery is pleased to present “The Reconstruction” by Richard STREITMATTER-TRAN who lives and works in Ho Chi Minh City, Vietnam. 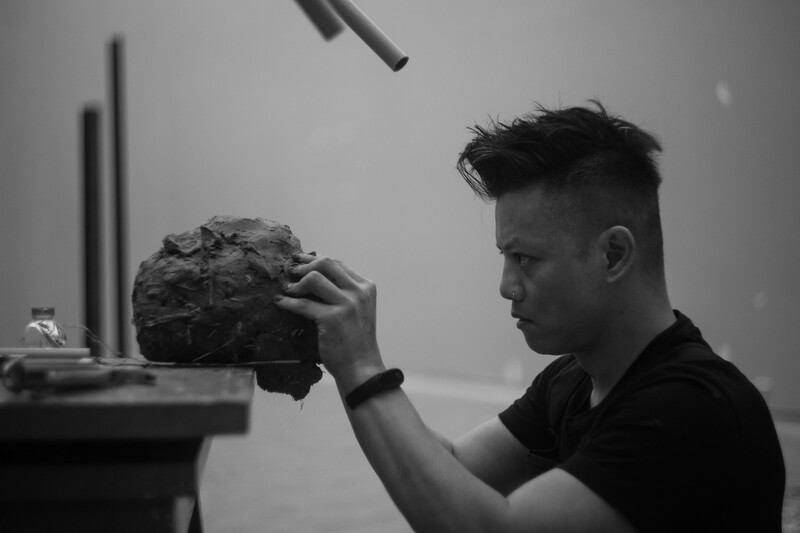 The Contemporary Art in Asia Project has developed from the Asian Artist in Residence Project. It aims to relate and exchange contemporary art and culture by encouraging the artist to search for the inspiration in order to create the works within the Southeast Asian socio-cultural context. “The Reconstruction” takes the view of an artist who is commissioned to reconstruct a history by reassembling the ruins and remains of humanity after the Last Great Extinction of species a t the end of the Holocene. You are cordially invited to the opening reception on Saturday 28 April 2018 at Bangkok University Gallery (BUG), City Campus from 18:00 hrs. onward. The exhibition opens during 28 April – 23 June 2018.